IT has been 10 years since Gamuda Land ventured into Vietnam with its first overseas project Gamuda City in Hanoi. The property arm of Gamuda Bhd soon expanded its presence in the country with its second property development Celadon City in Ho Chi Minh City (HCMC) in 2010 with its joint-venture partner Saigon Thuong Tin Real Estate JSC (Sacomreal). Celadon City is now fully owned by the company following its acquisition of the joint-venture partner’s stake in 2015. The developments of both townships have been progressing well despite a slowdown in the local property market in recent years, said Gamuda Land Vietnam general director Chow Chee Fan during a media briefing in Hanoi on May 18. Gamuda Land Vietnam is a subsidiary of Gamuda Land. The developer went into Vietnam in 2007 when the property market was booming, Chow recalled. But the bubble began to burst in HCMC between 2009 and 2010, followed by Hanoi, and soon the entire property market in the country went into a downturn. At end-2014, aided by the government’s control policies since 2012, the market has started to recover. Chow believes the outlook for the sector in the next few years to be bright due to strong domestic demand for housing. Besides, more foreign investors are coming into the country, which will bode well for the property sector. “Firstly, there are more foreign property buyers now, especially in the last year or so after the government in July 2015 began to allow foreigners who hold valid visas to purchase property in the country. Secondly, income levels are higher now, thanks to the country’s strong economic growth,” he said. Vietnam’s economy expanded 6.68% in 2015, the fastest since 2007 before it slowed to 6.21% last year. The gross domestic product growth stood at 5.1% in the first quarter of this year (1Q2017), which is the slowest first quarter expansion in three years, but the government is retaining its annual growth target of 6.7% for this year, according to reports. Banking on the positive outlook of the Vietnamese economy, Gamuda Land Vietnam will be rolling out more property launches in Gamuda City and Celadon City from this month (June). First up will be the first block of 398 apartment units in the Emerald Precinct of Celadon City to be launched by mid-June. This will be followed by 263 officetels in the Sapphire Precinct as well as a total of 3,500 retail lots, officetels and boutique apartments in Diamond Precinct — all to be rolled out in phases, by end-2018. The 82ha Celadon City has a gross development value (GDV) of about US$1 billion (RM4.3 billion). It comprises four precincts, namely Ruby Precinct, Emerald Precinct, Sapphire Precinct and Diamond Precinct. It also features Vietnam’s largest sports complex within a township, schools, a cultural centre and the first Aeon Mall in Vietnam, Aeon Mall Tan Phu Celadon. Launched about seven years ago, Ruby Precinct is the first phase of Celadon City with a GDV of US$160 million. It has achieved a take-up rate of almost 100% for the 1,520 apartment units in the precinct, said Gamuda Land HCMC general director Wyeren Yap Vooi Soon, adding that the average built-ups for the apartment units are between 65 sq m and 95 sq m, while prices range from US$1,100 psm to US$1,300 psm. Meanwhile, the 172ha Gamuda City consists of Gamuda City Central, Gamuda Gardens and Gamuda Lakes. The entire development has an estimated GDV of US$2.5 billion. “We will be launching 2,000 units of apartments and a 4-storey regional shopping mall at Gamuda City Central in 2Q2019,” said Chow. The GDV of Gamuda City Central is US$700 million. The company is currently in talks with four foreign investors including Aeon to kick-start the mall, which is expected to have a gross floor area of 250,000 sq m when completed in 2020. The deal is expected to be sealed by mid-2019. Subsequently, Gamuda Land Vietnam plans to launch Gamuda Lakes in 2020. With a GDV of US$900 million, it will offer apartments, terraced homes, semi-dees, villas and shophouses. The masterplan is expected to be finalised this year. Gamuda Gardens, which is the first phase of Gamuda City, will be launching 77 new semi-dees in June. The semi-dees will have a lot size of 7m x 22.5m and an average price of US$480,000. When completed in the next seven years, Gamuda Gardens will have 1,100 landed residential properties and 2,100 apartment units, besides commercial properties. This phase has already rolled out 688 landed homes, 114 shophouses and 1,482 apartments with an average take-up rate of 90% to 100% to date. The latest launch at Gamuda Gardens is the first block of The ZEN Residence, a project that will feature a total of 927 apartment units in three blocks. The first block comprises 308 units and was launched in May this year. It is 60% sold to date. Meanwhile, both Chow and Yap anticipate higher sales contribution to the group from Celadon City and Gamuda City in its financial year ending July 31, 2017 (FY2017). Celadon City’s contribution in the previous financial year was about US$100 million, but this is poised to increase by 10% to US$110 million in FY2017, said Yap. Located in the Tan Phu District of HCMC, Celadon City is the first-of-its-kind nature-inspired township in the area offering low-density community living in a lush green environment. The population in Celadon City is expected to hit 25,000 when it is completed in 2024. As for Gamuda City, the development contributed some US$120 million in sales in FY2016 and this is expected to rise to around US$150 million in FY2017 and FY2018, and to US$200 million from FY2019 onwards, said Chow. “To make a township work, we need to get the places right, the homes, the parks, the entertainment, the shopping and eating places. If you look at the whole of Vietnam, there are very few townships and most of them are on smaller sites, so they are not able to provide complete amenities. “We have a large scale of land for us to do better and more comprehensive master-planning to include all the key components such as residential, commercial, retail, green public spaces and infrastructure for a truly integrated town. There will also be a metro train station in Gamuda City in the future,” Chow added. 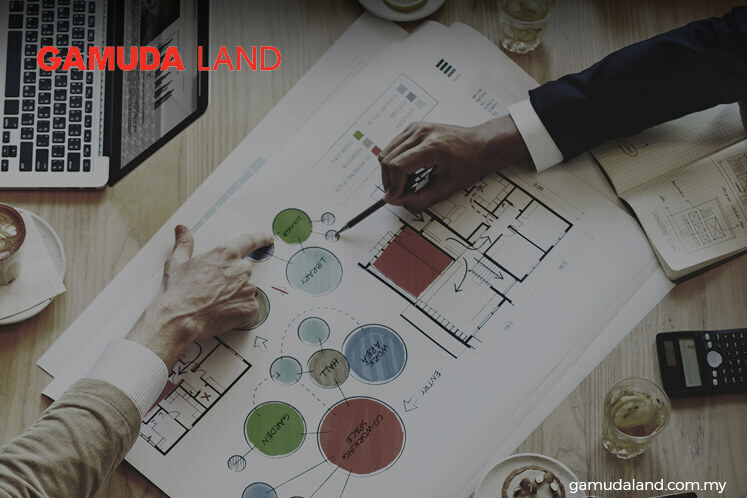 Gamuda Land Vietnam is looking to expand its presence in the country and will be reviewing more land in selected areas such as Gò Vâp District, District 9 and District 12 of HCMC as well as in the northern region of Hanoi. Chow explained that there are a few ways to source lands in Vietnam — one is through a build-and-transfer scheme such as by constructing infrastructure for the government in exchange for land, while another is to have joint ventures with the local companies to acquire land. One can also propose to the government for development rights of a land. This story first appeared in TheEdgeProperty.com pullout on June 9, 2017. Download TheEdgeProperty.com pullout here for free.